During the summer in Florida, you should water your lawn two to three times a week. During the winter in Florida, you should water your lawn once a week. Because you are watering it less in the winter this will help to reduce weeds and fungus growth. The roots will also grow deeper looking for water. This will prepare your lawn for summertime. The deep roots in the summer will mean that your grass has access to more water than it did last year and will be able to absorb the much needed water in the blazing heat. What Time of Day Is Best For Watering? It is best to water your lawn very early in the morning around 5 am before the sun is up. This give the grass time to absorb the water before the heat of the day hits. If you water during the day while the sun is out, the sun will burn off a lot of the water before it gets to the roots. 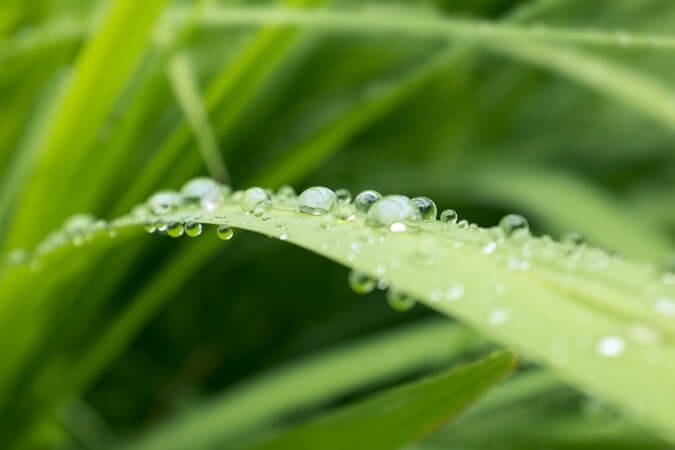 Also, the droplets that are left on the blades of grass can act like a magnifying glass and burn the blades. This is the last thing you would want to happen. The reason you should not water at night is because the water will sit on the grass overnight which encourages fungi to grow. Fungi can infect your lawn with a disease called leaf spots. This is very unattractive. If you water your lawn too much in summer it will begin to turn yellow and grow fungus and weeds. If you water your lawn too much in winter it will get brown patches and begin to grow weeds. Pop-up sprinkler heads should run about 30 – 40 minutes. Rotating sprinklers should run for about an hour to an hour and a half. Of course all this depends on coverage. Just because an area is getting wet does not mean it is receiving enough water. Ideally, every time you water you want to have one inch of water applied to your entire lawn. Imagine that your lawn area was a bathtub. You would want to have one inch of water in entire tub. Watering every day for short bursts (15 mins) per zone will cause a very shallow root system. You want to develop a deep root system so that your grass can access water in dry times and also be able to reach nutrients that are located deeper in the soil. Watering every day for a longer period of time (30 – 60 minutes) will cause the soil to become so wet that it will suffocate the roots allowing fungus and weeds to take over. Copyright © 2016 Natural Green Lawn Spraying. All Rights Reserved.